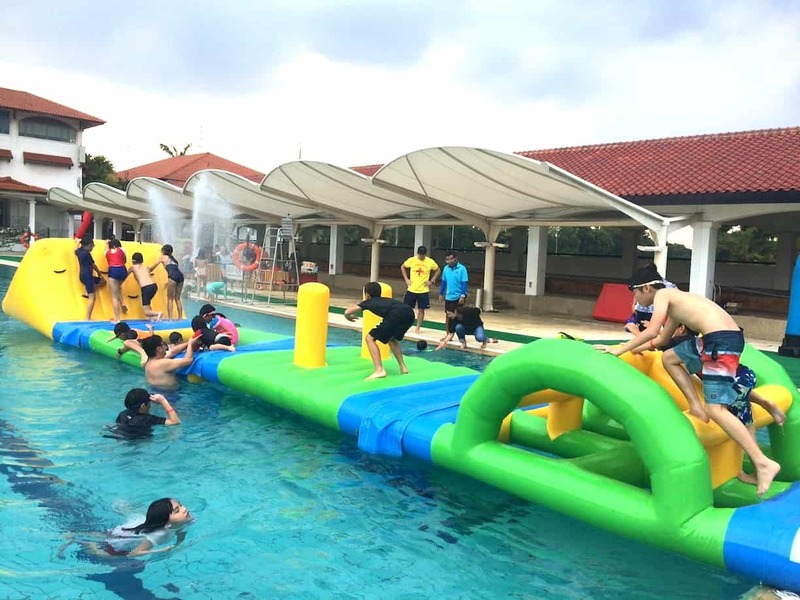 Are you looking for pool party activities in Singapore? Here in Carnival World, we enjoy being in the pool as much as you do! As a carnival rental specialist, we have a few pool party equipment rental for you to choose from. 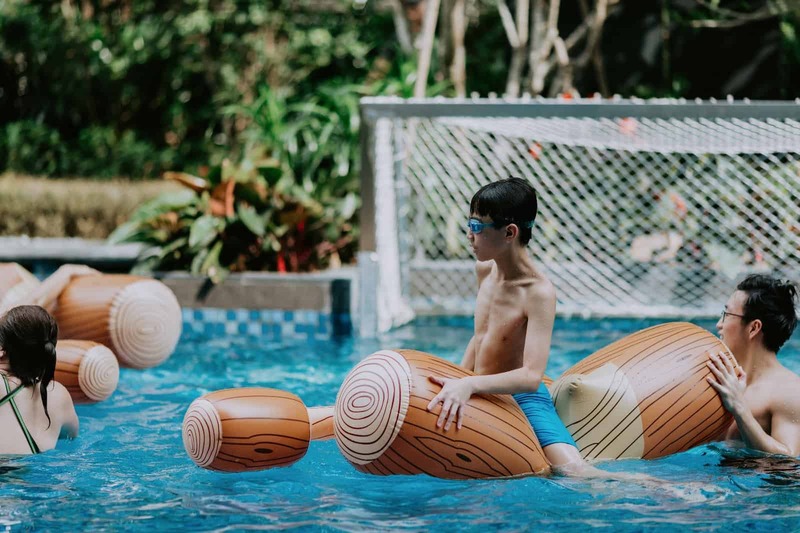 Below are our few in-house pool party equipment starting from just $50! Exclusively on Carnival World, water gladiator is the most affordable pool party equipment that guarantee fun and excitement in the pool! If you are looking for something to fill up a big pool area, here it is! Our water obstacle course is 14m in length and 2.3m in width. 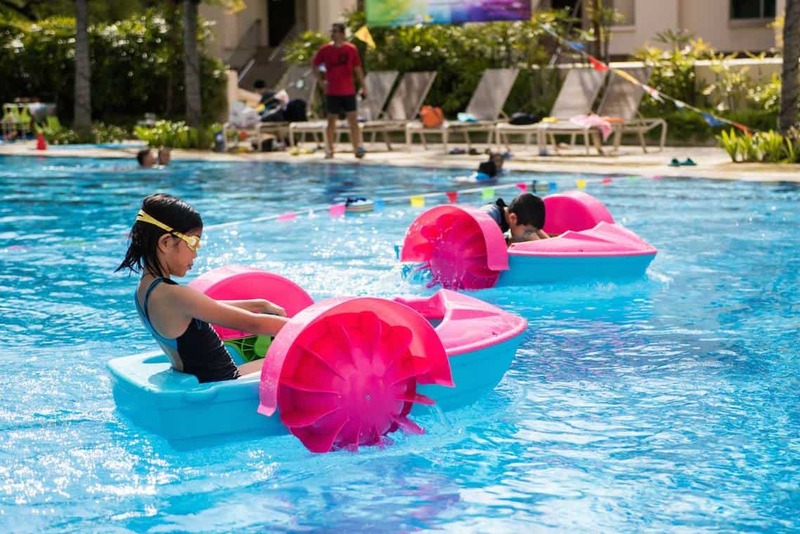 Another way to fill up a big area of your pool is to have these paddle boats! Affordable and great for kids age 5 and above! 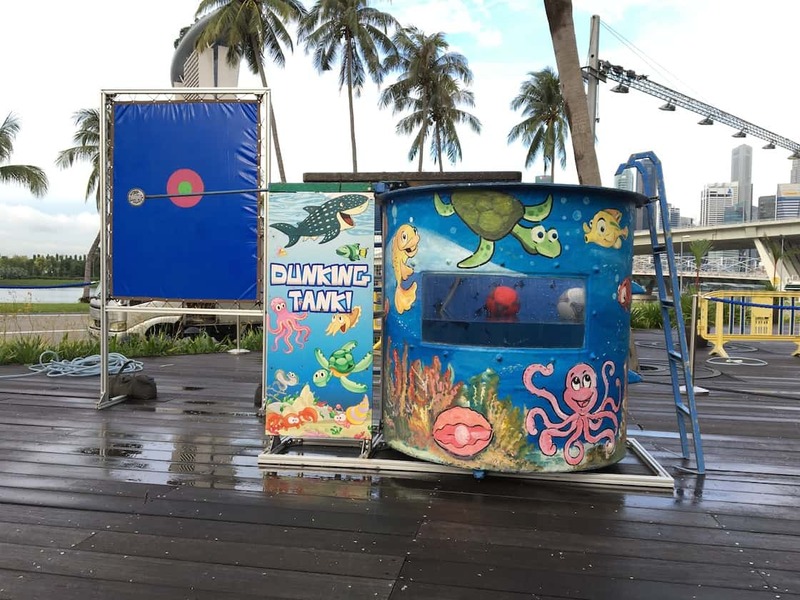 Unlike many, our dunking tank has great looking marine design and a frame board for your guest to aim! However, not every venue is suitable to have a dunking tank. Contact our friendly sales assistant for more information. What’s a party without some carnival games and snacks? Carnival World offers a large variety of carnival games and snacks for you to choose from! Click on the link here to find out more. If you would like to know more information about our water games, click here. To enquire or book our services, simply click on the below.